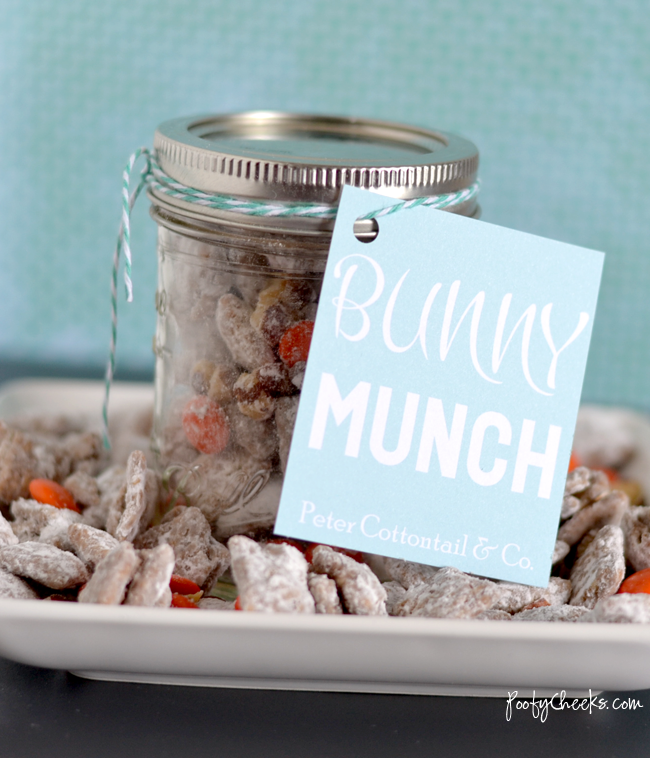 Yesterday I shared a simple and fun recipe for Bunny Munch and today I have a cute printable tag to go along with it! 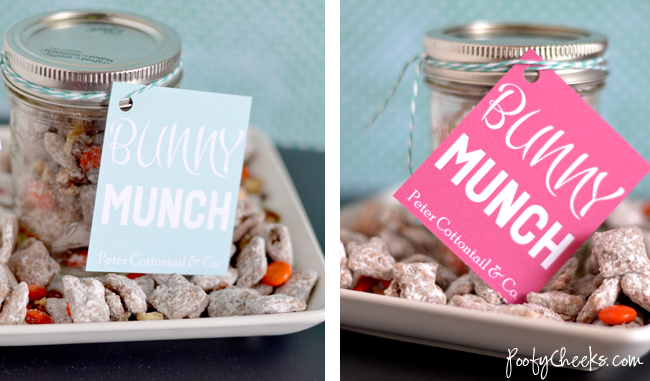 Packaging the munch up with these tags and handing it out to classmates, teachers or co-workers would be so cute! 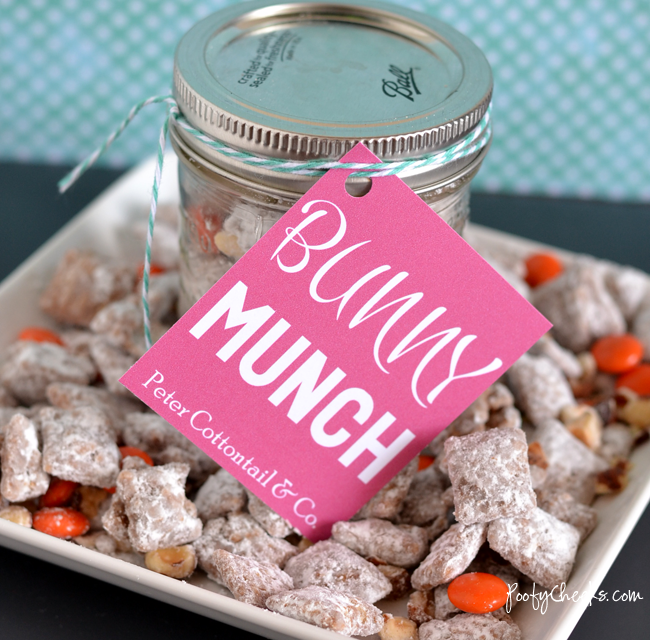 The printable has six different colored tags and can easily be cut with scissors or a paper cutter and tied onto your packages with ribbon or twine. 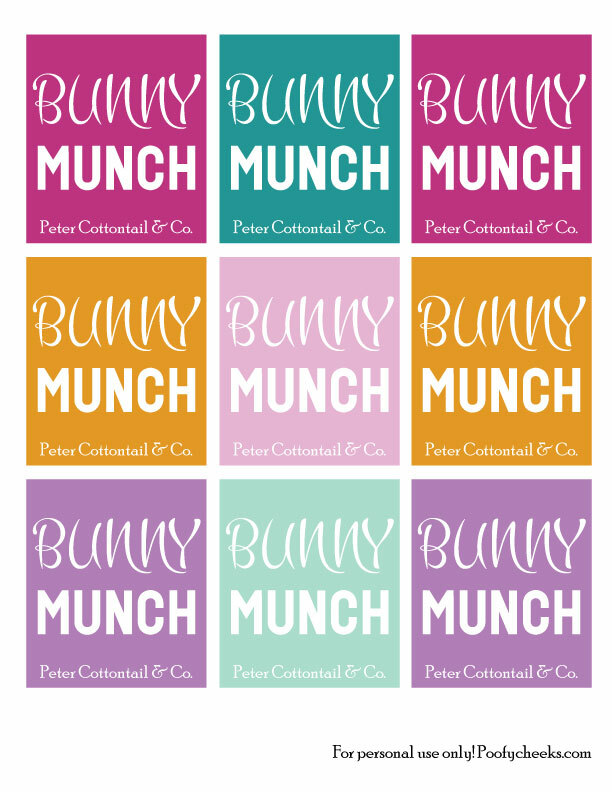 Find the printable file below.